Popular host of a Spanish-language variety show on Univision who has hosted the Chilean version of Who Wants to Be a Millionaire? and Deal or No Deal. As a teenager, he moved to New York to become a tailor, but was too infatuated with television. 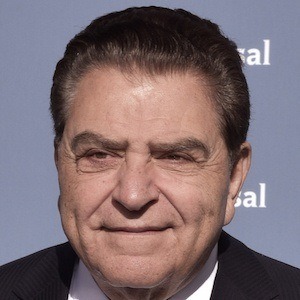 He was born in Chile, and he has hosted shows like Sabado Gigante. He married Teresa Muchnik Rosenblum in 1963 and together they had three children. He has interviewed a number of celebrities and politicians from Roberto Duran to Bill Clinton.